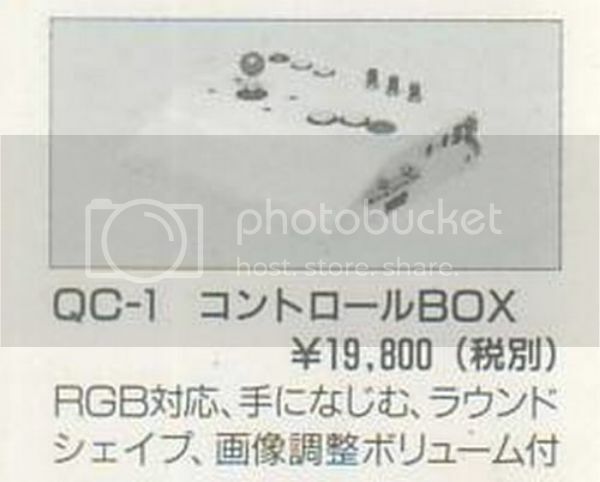 Firstly Japanese gamers call these wondrous things コントロールボックス "Control Box" or Cボックス "C-Box" for short, but never supergun. 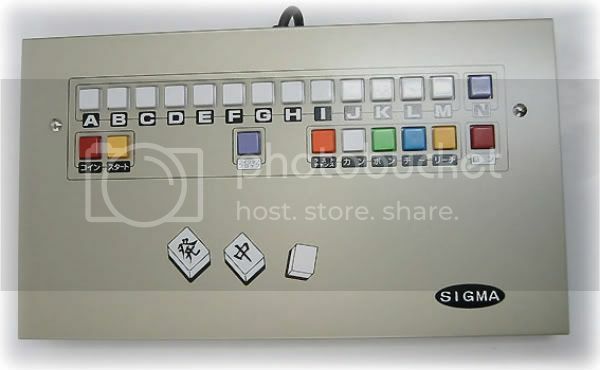 Interestingly, originally they simply called them コントロールパネル "control panel"
You will occasionally see them for sale in all of the usual places where you buy your arcade tat. 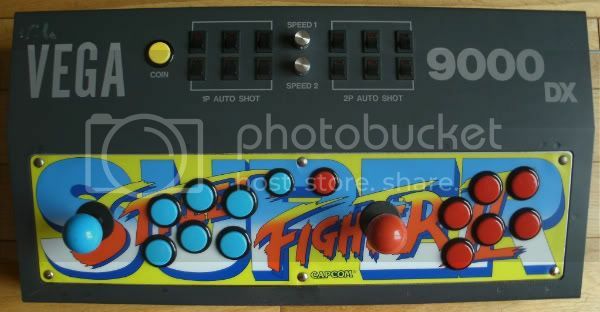 *Forums, check out the market place here and any other arcade forums that you are signed up to. *Online auctions - ebay and Yahoo jp are your best bets. *Japanese arcade shops - G Front, MAK, Try etc. 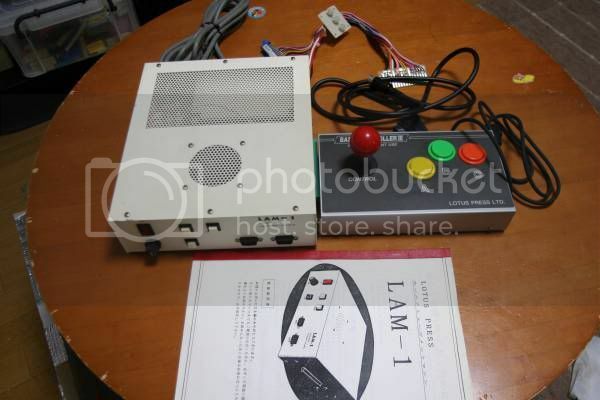 G Fronts control box blog/ price list http://gfront.sblo.jp/category/702869-1.html"
*As with anything in this hobby ask if it works, if it has any known issues and what condition it is in. *In Japan they were all originally sold without Looms and TV cables. 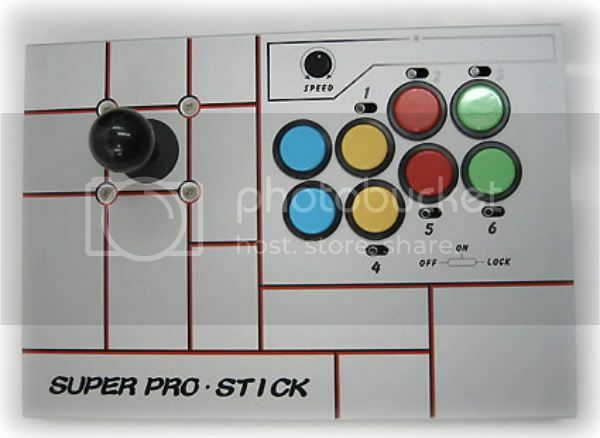 The console style ones were even sold without sticks and to complicate things further most of the Sigma sticks have detachable (not fixed) leads. 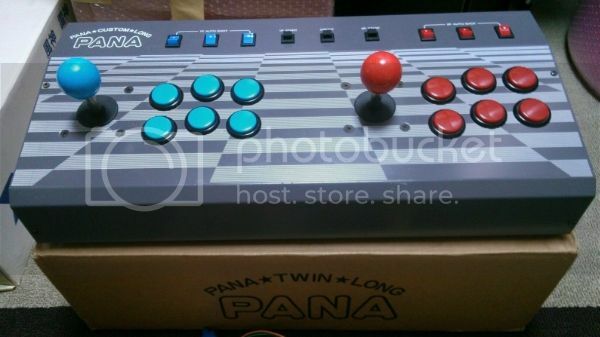 This was a great idea, you could use the same stick with multiple consoles as long as you bought the compatible lead. So check what's included before parting with your cash. 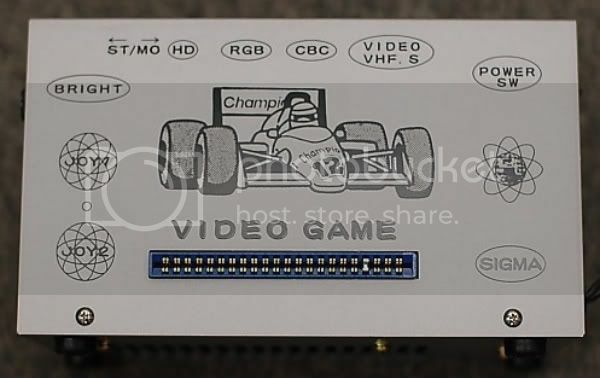 *If buying separately, check that the console style control box has a compatible pinout with the stick you are wanting to buy, some use NeoGeo DB15 connectors whilst others use custom pinouts. *Euro scart leads look the same as Japanese 21 pin TV leads but be warned they are wired differently. This is particularly useful to remember if you are importing directly from Japan. Converters are available but if you don't already own one then it's probably cheaper and better just to buy a new lead, or if you have the soldering skills then you could just re-wire the Japanese spec lead or make a new one. *Control boxes can be bulky and really heavy, especially the larger 2P ones, for example the Vega9000DX tips the scales at a hefty 7.3 KG. If buying from overseas remember to take that into account as the price of shipping could quickly sour a sweet deal. So what do you do if you are missing cables and looms. *I've bought leads from retro gaming cables on several occasions and have been very happy with both the product and service http://www.retrogamingcables.co.uk/"
*Our very own FrancoB made a very nice loom for one of my Sigma's, I don't know if Fran still makes these but a friendly MP can't hurt. 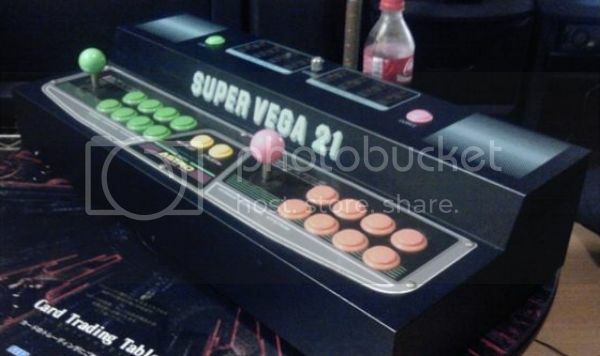 *2P control boxes come with buttons and sticks already installed so as long as you have the correct looms and TV lead then they are good to go out of the box. 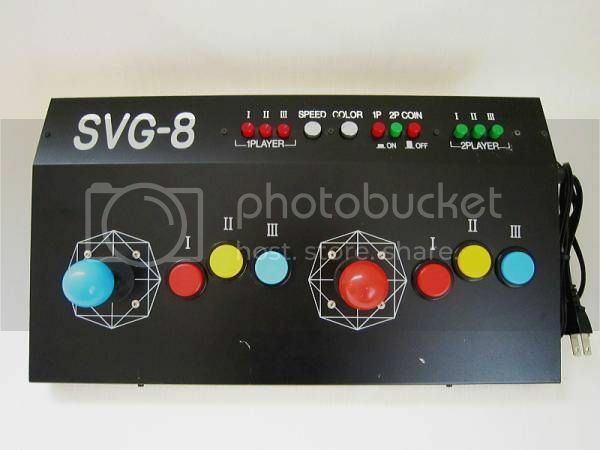 Some even use an actual candy cab control panel, the Vega 2000 and the Vega 9000DX use a Sega Aero City control panel whilst the Super Vega 21 and the Sega Board master use any standard Sega control panel ie Astro, Blast, Naomi, NNC. 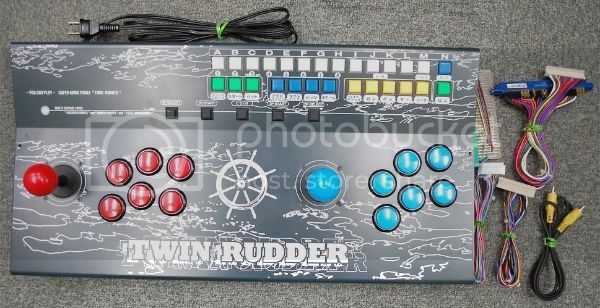 *Buttons and sticks are very easy to change out as on most control boxes, just like in candy cabs, crimps are used to connect the controls. That said for some strange reason some models went down the solder route. *Console style control boxes, require a separate controller. Sigma make a number of outstanding sticks but they are not always that easy to find outside of Japan. 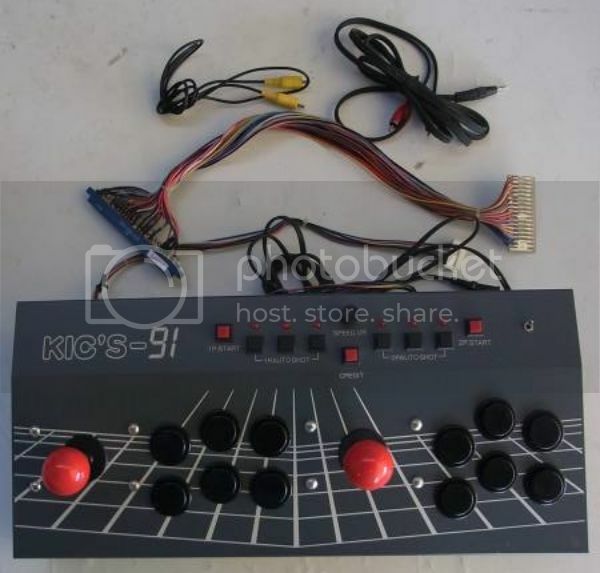 If the control box has DB15 ports then you can use any Neo Geo controller or if you have the skills you could always make your own custom stick. Best to see what's sold recently and ask in the valuations thread. As always prices go both up and down so only spend what you are comfortable with. 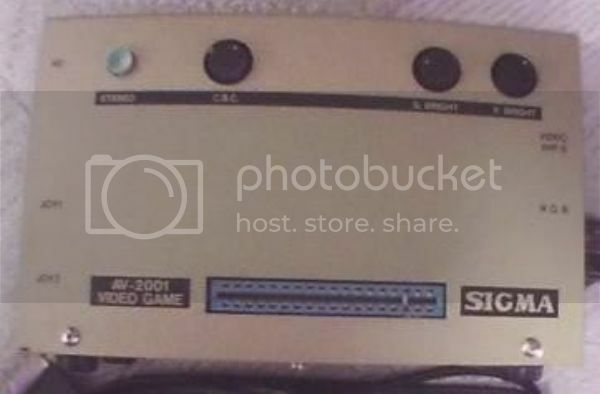 Misc: Another unusual 1 player control box from Tekunato. Misc: Produced by the now defunct Kyowa international, who I believe also made the Kic's-91 and the Special Version of the Combo AV. 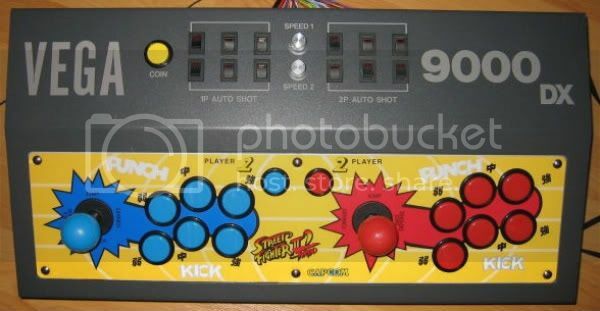 Misc:This is 100% factory stock even though buttons 1,2&3 are numbered but buttons 4,5&6 are not. 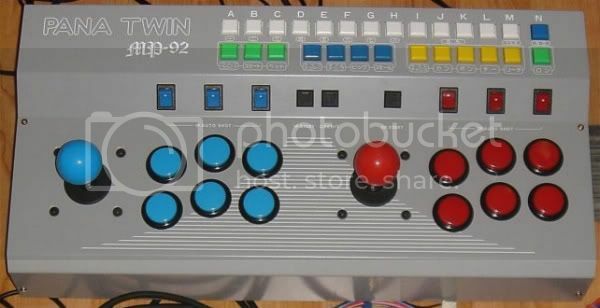 Also the placement of buttons 4,5&6 on the player 2 odd. Misc: To me it looks like a commercial bar top arcade, note the coin mech to the right of the monitor. 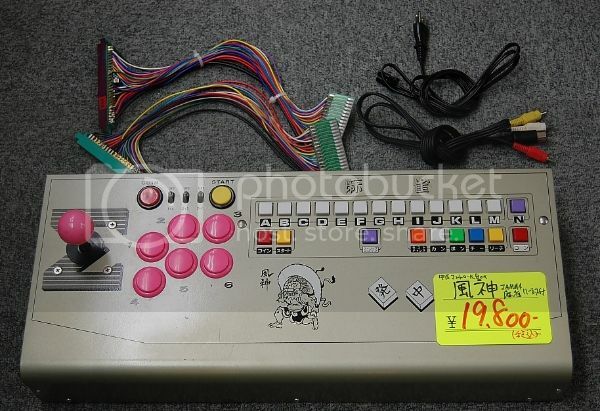 It was listed as a control box on yahoo jp http://forum.arcadeotaku.com/viewtopic.php?f=18&t=24769" but I can find zero information on this bad boy. 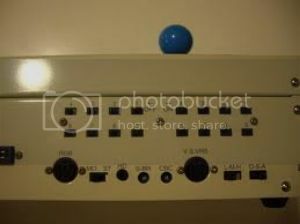 Weather it be a control box or bar top artcade it's as rare as hens teeth. 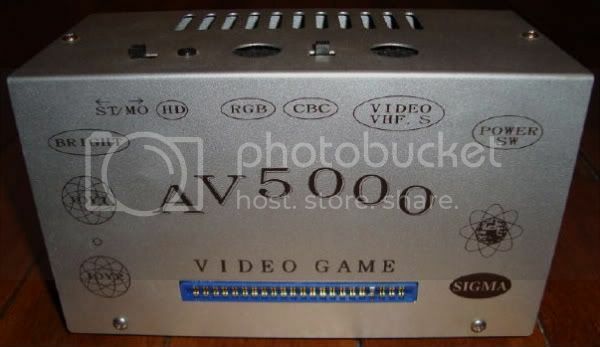 Misc: RGB, S-Video, AV outputs. http://www.tops-game.jp/part/usually/05 ... box_02.htm"
Last edited by Paulie on October 11th, 2016, 11:32 pm, edited 104 times in total. 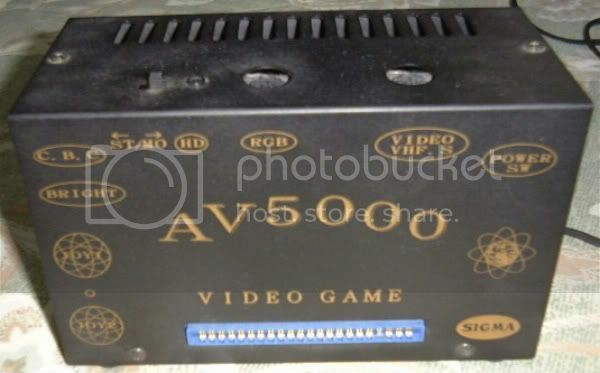 We have a supergun section on the wiki that would love expansion! 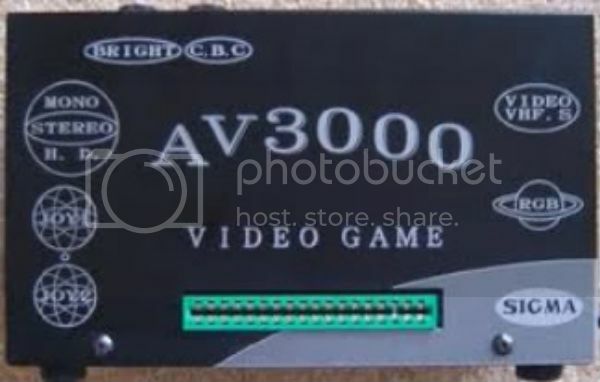 davewellington wrote: We have a supergun section on the wiki that would love expansion! Cheers buddy, if I can help by making it a bit more comprehensive then I would love to. 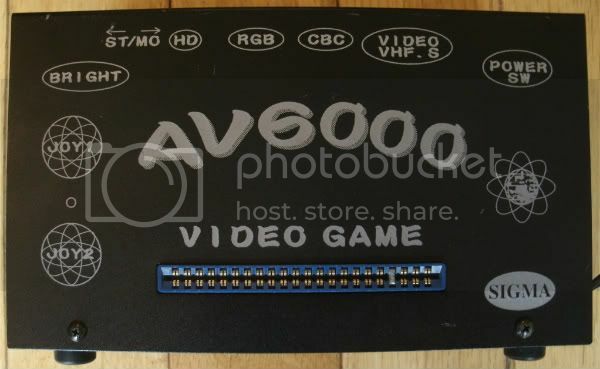 I've now done a fairly detailed overview for the Sigma AV6000 http://forum.arcadeotaku.com/viewtopic.php?f=18&t=19658" and the Vega 9000DX http://forum.arcadeotaku.com/viewtopic.php?f=18&t=19677"
Wish I had taken better photos when this was in my possession. 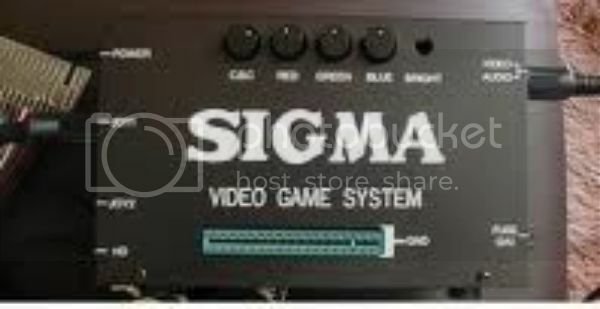 It is a Sigma AV999 console style supergun. I'm also starting to add info to the wiki. I just found some nice photos of my Pana Twin MP92 and the manual. Manual Page 1 http://petes-emulation.com/ftp/alien_ma ... pana_1.jpg"
Manual Page 2 http://petes-emulation.com/ftp/alien_ma ... pana_2.jpg"
Manual Page 3 http://petes-emulation.com/ftp/alien_ma ... pana_3.jpg"
Pana pr0n 1 http://petes-emulation.com/ftp/alien_ma ... a_pic1.JPG"
Pana pr0n 2 http://petes-emulation.com/ftp/alien_ma ... a_pic2.JPG"
Pana pr0n 3 http://petes-emulation.com/ftp/alien_ma ... a_pic3.JPG"
Pana pr0n 4 http://petes-emulation.com/ftp/alien_ma ... a_pic4.JPG"
Mahjong Connector http://petes-emulation.com/ftp/alien_ma ... ST-011.JPG"
Mahjong full loom http://petes-emulation.com/ftp/alien_ma ... naLoom.JPG"
Too big to post on these forums though! A big thanks to dave for the heads up I had never heard of this one before dave pointed it out to me, looks pretty interesting too but there does'nt seem to be anything or at least I haven't found any info about it on the web. 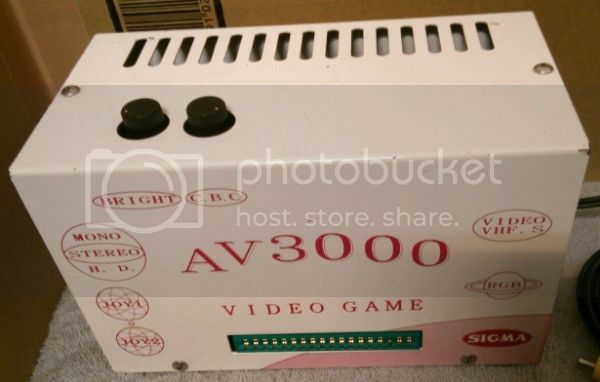 Out of curio, with these big all in one Superguns - I assume they have a 5v adjustment? markedkiller78 wrote: that's probably my best contribution to the forum to date "I am pluralising fanny"